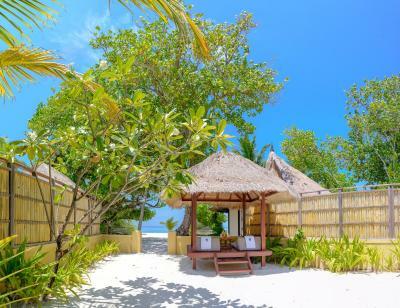 Lock in a great price for Banyan Tree Vabbinfaru – rated 9.2 by recent guests! Great location only 25 mins boat ride from the airport. Beautiful property, the lagoon is fantastic for snorkeling with easy access for beginners. Food was very good and good to have the all day dining option both in room and at the bar if you don’t want to take the buffet lunch package. Can’t speak highly enough about this hotel - staff were very helpful and fantastic with our little boy. This ecofriendly resort is just simply beautiful. The architecture of the Villas and the common areas is stunning and the small size of this resort makes it extra special. Very kind staff and beautiful location next to Angsana Ihuru. The whole resort is amazing. The staff members are very friendly and co-operative. Great location, we had overall a good time, friendly staff and beach villa we stayed was excellent ! enjoyed the location; just 20mins away when you land in MALE. the island is small and private, the full-board choice is great! the staff were very helpful. Great location, nice rooms, very good food and friendly staff. 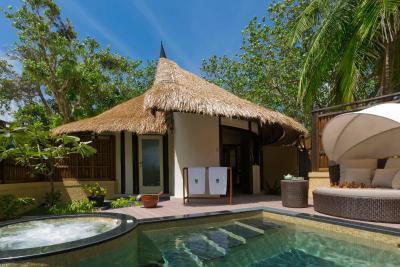 atmosphere, service, spacious and very clean villa. Excellent customer service and an amazing surprise on our anniversary. 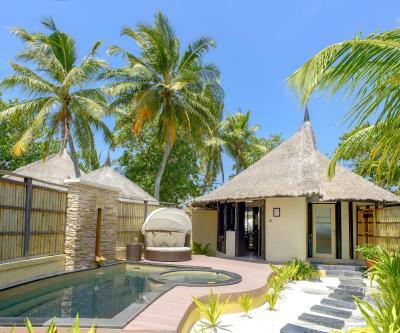 Banyan Tree Vabbinfaru This rating is a reflection of how the property compares to the industry standard when it comes to price, facilities and services available. It's based on a self-evaluation by the property. Use this rating to help choose your stay! One of our best sellers in North Male Atoll! Far removed from urban living and nestled on a gorgeous island in the North Malé Atoll, a luxurious beach holiday awaits, just 25 minutes by speedboat from Male International Airport, at Banyan Tree Vabbinfaru's exclusive villas and private pools. It has free WiFi access throughout the property including all rooms. 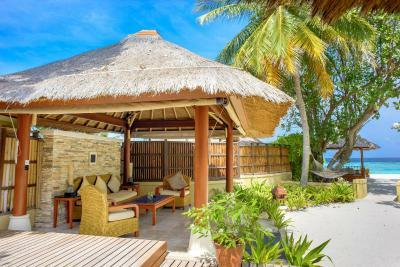 Vabbinfaru's exquisite set of villas feature a modern Maldivian styling that incorporates thatched roofs and rustic worn-wood elements. Despite traditional appearances, each villa is equipped with a host of modern amenities like flat screen TVs, both outdoor and indoor showers and more. Tea/coffee making facilities are available in the rooms. All villas are merely steps away from the white sandy beaches, and every villa comes fully furnished with private plunge pool and jet pool. 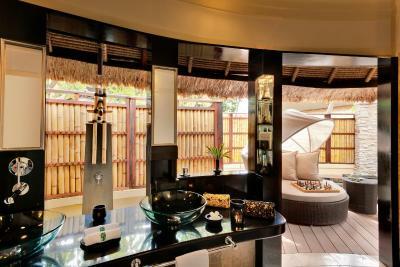 Banyan Tree Spa Vabbinfaru features a relaxing menu of massage treatments and beauty therapies. Yoga sessions are conducted by the in-house yogi master during sunrise and sunset. The resort offers watersports and a diving center offering rental of snorkeling equipment, dove trips and guided catamaran excursions. The property also houses a marine laboratory. 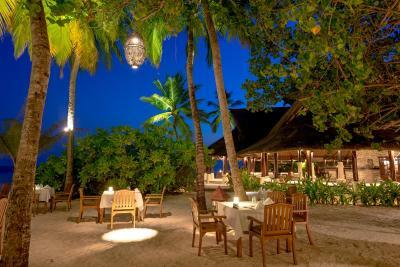 Maldivian cuisine, fresh seafood and international dishes are served at the beachfront Ilaafathi Restaurant and Sangu Garden Restaurant. 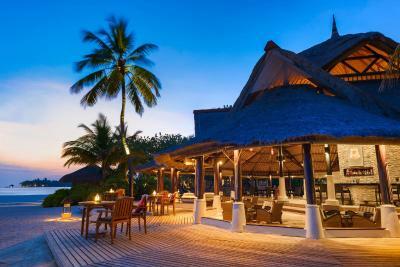 For additional dining/activity variety, guests are able to travel to Angsana Ihuru, 5 minutes away by speedboat, where they can dine at Riveli and The Velaavani Bar, and snorkel in the house reef. 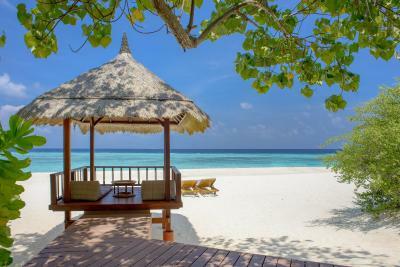 When would you like to stay at Banyan Tree Vabbinfaru? 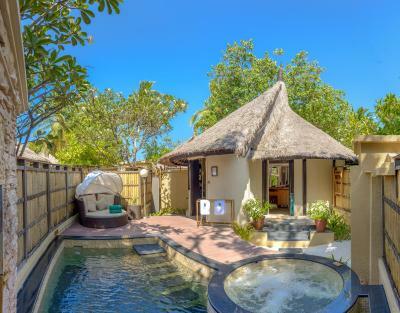 This villa features a teakwood four-poster bed, an extended wooden deck with sala (pavilion) overlooking the Indian Ocean and a landscaped walled garden. It also has a large deck, outdoor jet pool and outdoor shower. 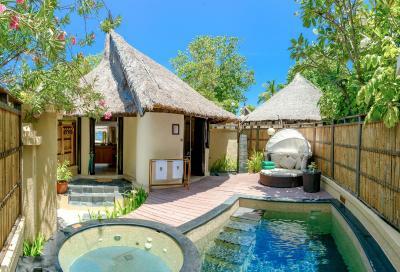 Offering panoramic views of the Indian Ocean, this villa opens up to a large deck that leads to the beach. 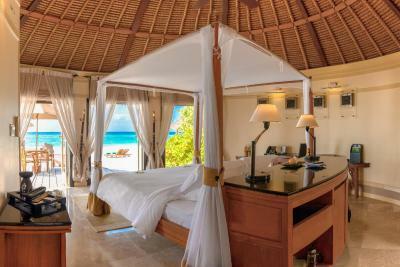 It features a teakwood four-poster bed and an extended wooden deck with sala (pavilion). It also has an outdoor jet pool, as well as an indoor and outdoor shower. 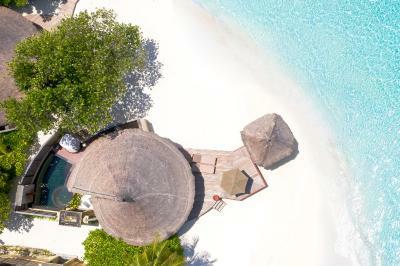 Cocoon yourself in a web of shimmering turquoise waters, swaying coconut trees, indigenous blooms and pure white sand. 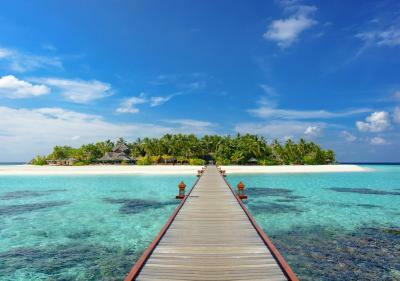 Free your spirit on the Maldives' North Male Atoll. 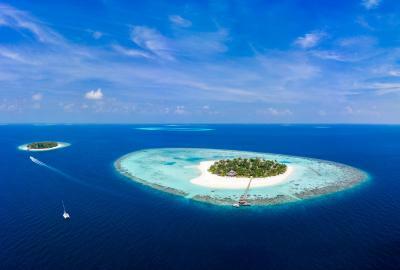 In Maldivian, Vabbinfaru refers to a round island circled by a round coral reef. 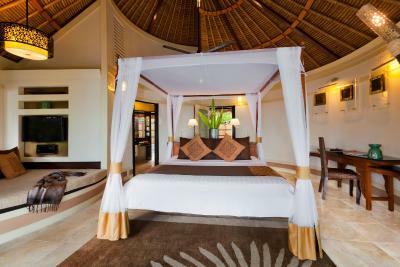 In this circle of peace, claim sanctuary at Banyan Tree Vabbinfaru resort. Feel the natural sea breeze sweeping in from the majestic Indian Ocean, and let the resort's signature hospitality bring you peace and tranquillity. 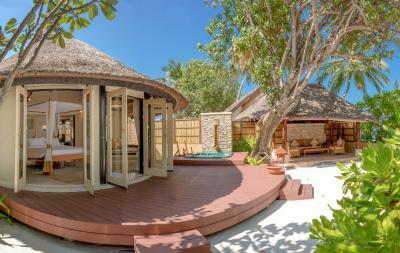 House Rules Banyan Tree Vabbinfaru takes special requests – add in the next step! 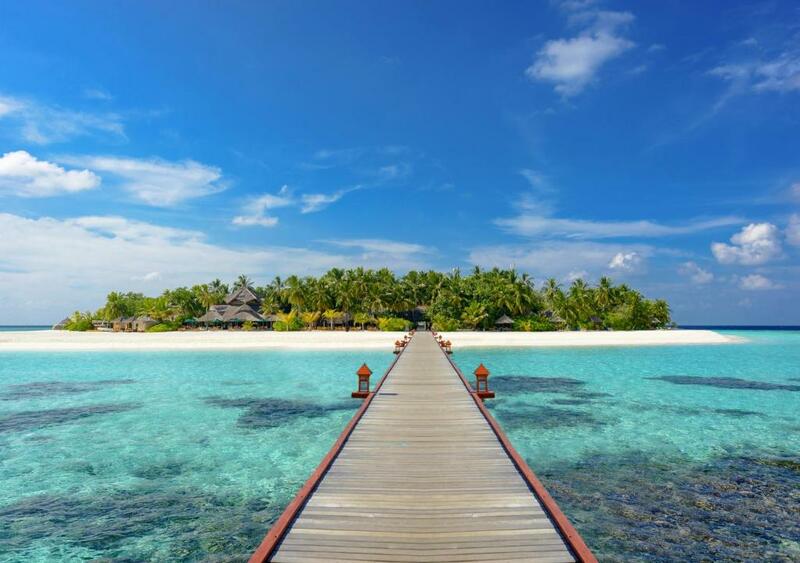 Banyan Tree Vabbinfaru accepts these cards and reserves the right to temporarily hold an amount prior to arrival. In a case of a Cancelation or no show, taxes and per person fees will be charged in full by the property. Everything was really lovely. My beach villa was perfectly located with a gorgeous sunset view, the room is quite cosy but there's so much outside space you don't notice. Have never had my own pool before, which was amazing. Food was really good (I was full board and thing it was great value). Very peaceful, classy resort. Not for those who want lots of activities and nightlife but perfect for an idyllic getaway. Will definitely come again. The staff were very friendly and accommodating. The food was always great and the villa was comfortable. The beach was perfect. The lack of a swimming pool is a slight disadvantage when the weather leads to rougher seas. Also, a little more choice of restaurants and more frequent low-key entertainment in the bar area would be good for those not wishing to go straight to bed after dinner. Banyan Tree Vabbinfaru would not be ideal for families or those seeking a more active holiday, but that was not an issue for us. 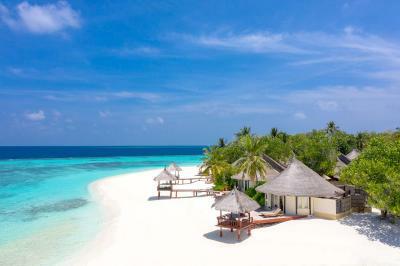 Beautiful resort island with pristine white sand beaches and crystal clear waters in the lagoon. 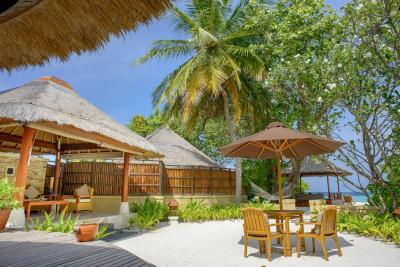 Banyan tree has a definite upmarket feel compared to some other Maldivian resorts with a rustic chic atmosphere (e.g. 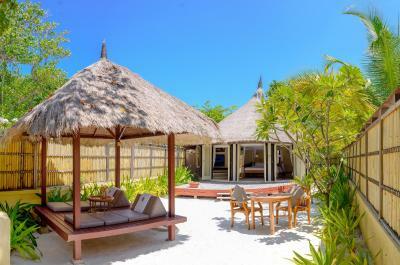 comfortable high quality wooden furnishings and extensive use of local materials which blend in with the natural environment, sand floors in the bar and external eating areas) It encourages a bare-foot laid-back lifestyle for those who wish a secluded and peaceful stay. Staff are extremely friendly and helpful and one feels very pampered in this resort. The marine biology centre and optional lectures on the on-going local conservation work is a nice addition. There could be more variety of food. There should be more involvement of the Marine Lab with the guests. The billing system needs to be improved, its not very thorough for the guest to understand the different positions. Price is bit expensive. Food menu needs to improved. the sister island was a bit boring; they have the system to pump sand during nov, so the water around our villa got muddy and would appreciate a head-up. The food is very good but it's the buffet that stands out, particularly at lunch time. Service is world class, everyone is extremely helpful and having everything taken care of for you whenever you asked was incredibly refreshing and made everything straightforward and even more relaxing. 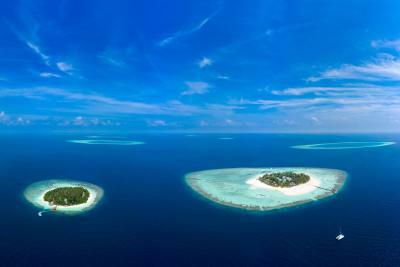 Everything from the tim of arrival till the time i left Maldives was very well taken care of by the Banyan Tree Staff. Excellent people with extremely helpful and understanding attitude. 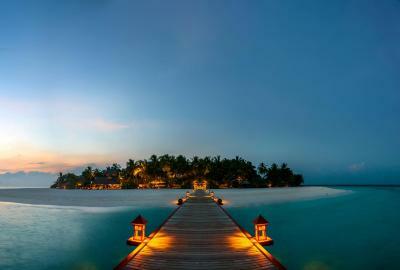 would definitely recommend anyone who goes to Maldives to stay here. Adore this Resort! Was and stays The Best we have been to at Northern Maldives. 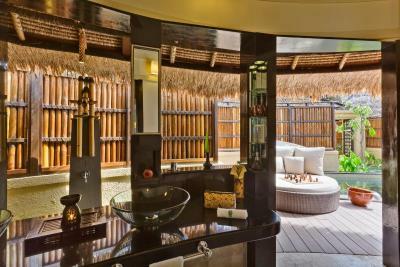 Each retreat to Banyan Tree is full of beauty, romantic ambience and utmost service!